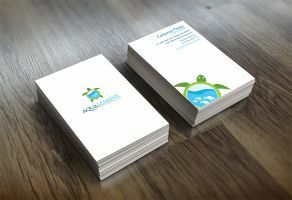 Business Card: A simple white design gives your logo its moment to shine. Feature your own logo in a unique, playful way while maintaining simplicity and elegance. Customize with your own logo, colour scheme and font.